They may evoke images of box-style assets in sub-prime locations, but data centres’ specialised nature means they’re better business than they look, writes Patrick O'Reilly. Technology has disrupted many industries but commercial property isn’t one of them. Buildings are still buildings, and the predictability of the rents is the source of the stable, reliable returns property trust investors demand. Disruption is, however, creating an opportunity with all the attractions of traditional commercial property plus richer growth prospects. How so? Think of the data – pictures, documents, contacts, emails, music – on your phone, laptop and desktop computer that’s now “in the cloud”, which, in reality, is a large, bespoke, airtight, air conditioned facility somewhere on planet earth, housing networked computers storing it all securely and cheaply. Companies once stored this data themselves, using their own servers and employing IT staff to manage them. Advances in internet speed, greater processing power and the increasingly specialised nature of IT support has now made third-party providers more attractive. This has seen the emergence of a new kind of property trust: data centre landlords who generally lease out a building to a data centre operator, which manages the servers and partitions data centre capacity to the end client. This is a low-risk venture for the landlord, delivering stable returns. Alternatively, a landlord can lease out data centre space directly to the client, allowing them to store their own servers in the building. This involves a little more operational risk in return for a typically higher rent. The APN Asian REIT Fund has recently been holding a position in one such landlord, which we’ll discuss in detail in a few weeks. First, it’s useful to understand why this emerging sector is more attractive than many investors believe. Growing internet penetration rates, online commerce, social networking, file sharing and financial transactions – all of which need to be stored and backed up, which means data usage is growing exponentially. This table from Cisco tells the story. This is but one tailwind; companies choosing to outsource the storage and management of their data is another. Take Netflix as an example. With a business model that relies on storing high-definition movies and TV shows accessible to over 100 million subscribers in over 190 countries, it has no physical stores. Customer payment, registration, support and content delivery are all managed online. To ensure quick loading times for customers, Netflix stores all its content locally, requiring a data centre in or near each country. Changes to content can be made at Netflix headquarters in the US, which is then updated automatically in each region overnight. Netflix recently completed the outsourcing of its own data centre operations to Amazon Web Services, saying it viewed external providers as more secure. For Netflix, securely storing data through a third party that can provide backup services and redundancy guarantees is paramount. So while data usage is increasing at a massive rate, it’s also compelling companies to outsource their data management to reliable third parties. That’s two very strong tailwinds. Demand is only one side of the investment equation. The reason why data centres are better businesses than they look is because supply is not easily expanded to meet demand. There’s a perception that data centres aren’t high-quality assets, more a ‘box’ style industrial asset in a sub-prime location. Nothing could be further from the truth. The specialised nature of data centres creates high barriers to entry due to their large upfront cost and the specialised knowledge required to design, build and manage them. Data centres require large amounts of racking, cooling and ventilation. This means the floor space available to tenants relative to the size of the building is usually far lower than that of a typical office building. In-depth knowledge of data centre design is critical to maximising rent. Even in construction, subtle barriers to entry exist. Data centres must be located in areas resilient to natural disasters, requiring sophisticated cooling systems and a reliable, cheap supply of power via high-capacity power lines. These factors show up in the comparison between the rent charged per square foot in data centres and other property assets. While a data centre landlord faces higher upfront costs and operational risk when renting out racking space directly to clients, the rental rate that can be charged to clients is much higher than other types of industrial property. Data centres require substantial upfront costs to build and expertise to design and manage. The benefit to the landlord (and investors) is returned in the value of the completed building and the rent charged to occupy it. Asia-Pacific’s data centre market is expected to grow by 35 per cent per annum, equalling that of Europe’s by 2021. This is largely due to a surge in data usage in the region. Internet and mobile penetration rates are still lower than those in Europe and the US. Average smartphone penetration is expected to grow from 43 per cent to 66 per cent by 2020, driven by markets such as India and Vietnam. Singapore is uniquely placed to capitalise on this demand. As one of the region’s few global hubs, the city state is encouraging data centre investment. The Development Authority of Singapore has been progressing with plans to establish the Tanjong Kling Data Centre Park, offering dedicated space with complementary infrastructure for data centre operators. The government is also funding research and development to explore the possibility of designing high-rise data centres to maximise land use. The country has 17 submarine internet cables, resulting in very low latency; and power supply is reliable and affordable, reducing the need to build in redundancy systems. These factors are attracting traditional industrial property trusts to the sector. They’re also producing specialist landlords like Singapore’s Keppel Data Centre REIT, a property trust that has found an attractive spot in the APN Asian REIT Fund. 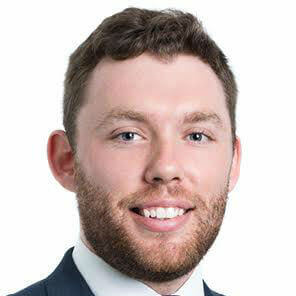 Patrick O'Reilly is an analyst, Asian real estate securities, at APN Property Group.